We suggest you review all of the tabs below before starting your application. For information on applying to our FNP program, click here. If you have any questions throughout the application process, contact npresidency@chc1.com. Applications for the 2019-2020 program close May 31, 2019. Please note: Licensing and credentialing does not need to be active at the time of the application submission. However, it is required before the start of the program year in September. The following licenses are required: APRN, DEA, and CT controlled substances. • Demonstrated commitment to providing care to medically underserved populations. We strongly encourage all applicants to take the national certification examination as early as possible in order to be fully credentialed by the start of the residency in September. Since Spanish language competency is highly desired, we encourage non-Spanish speaking applicants to undertake an intensive language course prior to the start of the residency. What is the commitment to complete the residency program? The NP Residency is a 12 month, full time employment and training opportunity. NP Residents are full time employees during the residency experience and scheduled for a 40 hour per week schedule to meet all program requirements. Is there a post-residency employment commitment? Yes. After the residency program year, residents are required to complete a one-year employment commitment. 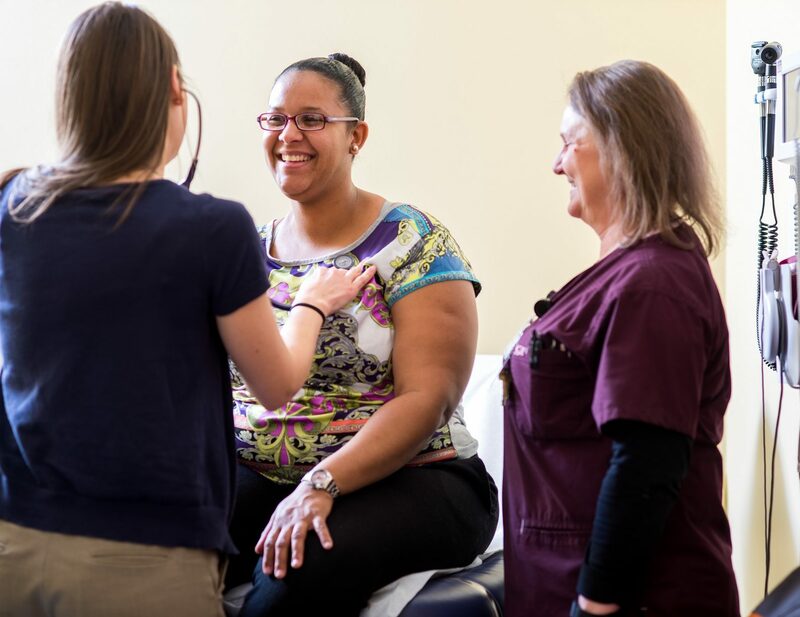 This allows residents to have a year of practice at one of our CHC locations and provide continuity in the training experience and smooth transition to full time practice. Our team will work with residents during the program year to identify a mutually agreeable site for the post-residency commitment. Does the program provide salary and benefits? Yes. As employees, residents receive comprehensive benefits from CHC. This includes medical, dental, paid-time off, license reimbursement, and other benefits. Additional information on our benefit offerings will be provided during the formal interview process. Do I need my professional licenses when I apply to the program? No. Most of our applicants apply to the residency program while they are completing their graduate program. All licensure needs to be in place by the start of the program in September. 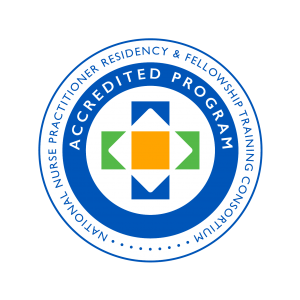 Residents must sit for and pass their board certification exam by mid-July through AANP or ANCC. Required licenses include Connecticut RN and APRN, Connecticut Controlled Substance License and DEA License. CHC reimburses residents for licensure costs when residents start in September. Do you have a language requirement for applicants? While we do not require that residents speak a second language, speaking Spanish is a preferred skill for potential candidates. If you do not speak Spanish, we highly recommend committing to completing a Spanish immersion program to enhance your language skills. Many former residents have completed these training opportunities during the summer prior to the program start. The residency program starts the first week in September. The Tuesday after labor day, residents will start in New Hire orientation for CHC employees. This is followed by a weeklong orientation for the residency program. For more information, please see our orientation page (link to orientation page). Do I need to have a car to participate in the program? Yes. No matter what site you are assigned to for your home site, residents are required to have reliable transportation. In addition to clinical care in your home site, residents will need to travel to other CHC locations for training opportunities including internal and external specialty rotations. Are there any weekend and evening commitments for the program? Yes. Residents may be required to work an occasional weekend or extended evening hours. Many of these occasions are for additional and beneficial training opportunities and designed to enhance the program experience. Residents will be required to take call overnight X to X times during the program year. Evening and weekend hours will be coordinated between residents and the program team. Am I eligible for loan repayment during the residency? No. Residents are not eligible for loan repayment during the residency year as it is a formal training program. However, residents can defer loan repayment during the residency year. NHSC and Nurse Corps scholars may apply during the residency year to be eligible for loan repayment during the post residency year commitment. Please let the residency team know if you are eligible for one of these programs.